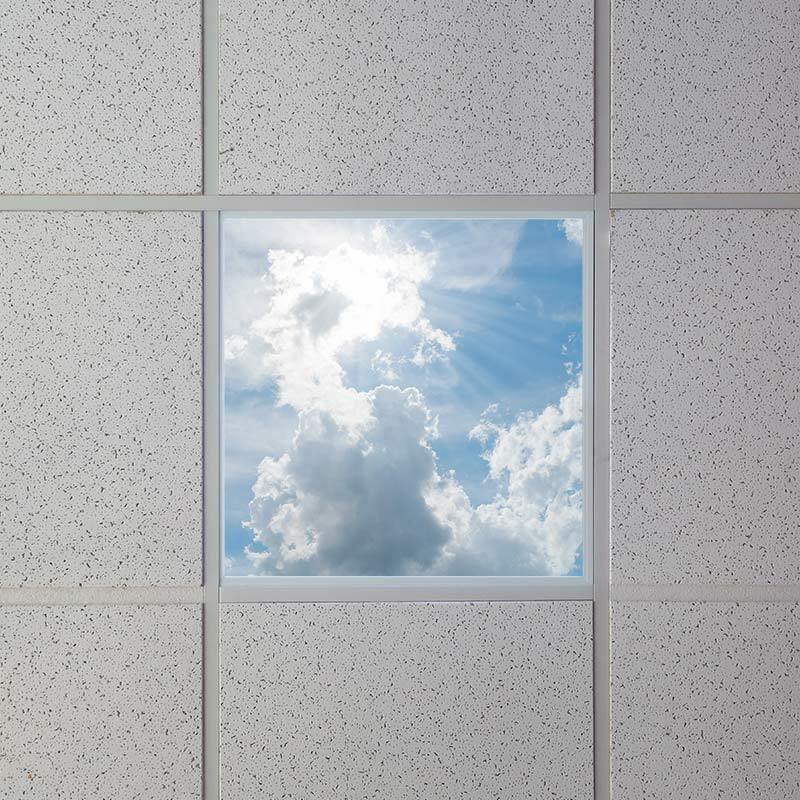 Multi LED Skylight Display - Custom Image and Configuration - 2x2 Dimmable LED Panel Lights w/ SkyLens: Turned Off and Turned On in Ceiling. Similar Print for Imagery. 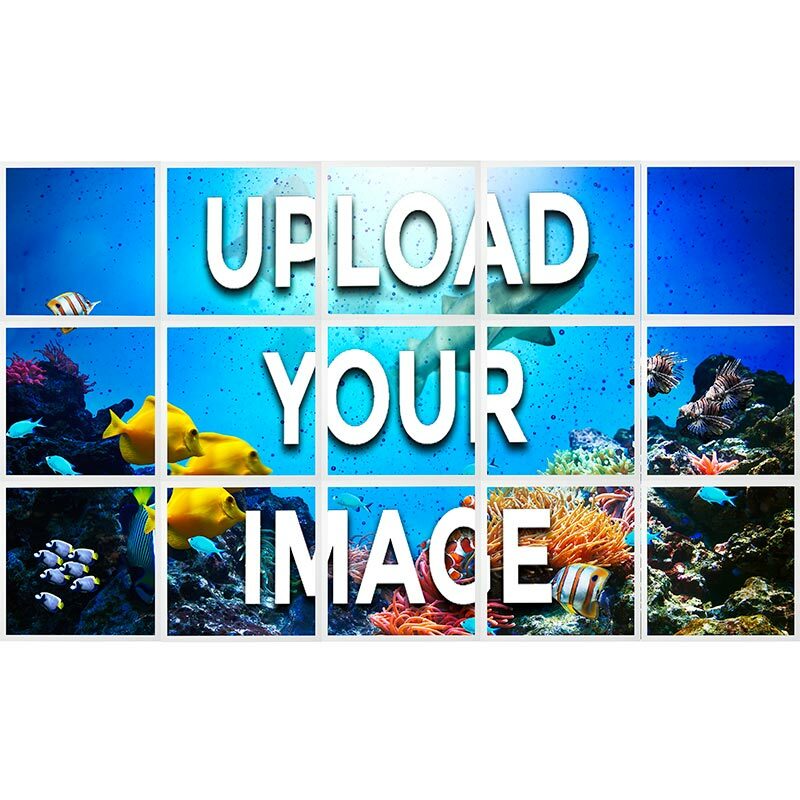 Create a multi-skylight LED display using your own custom image. 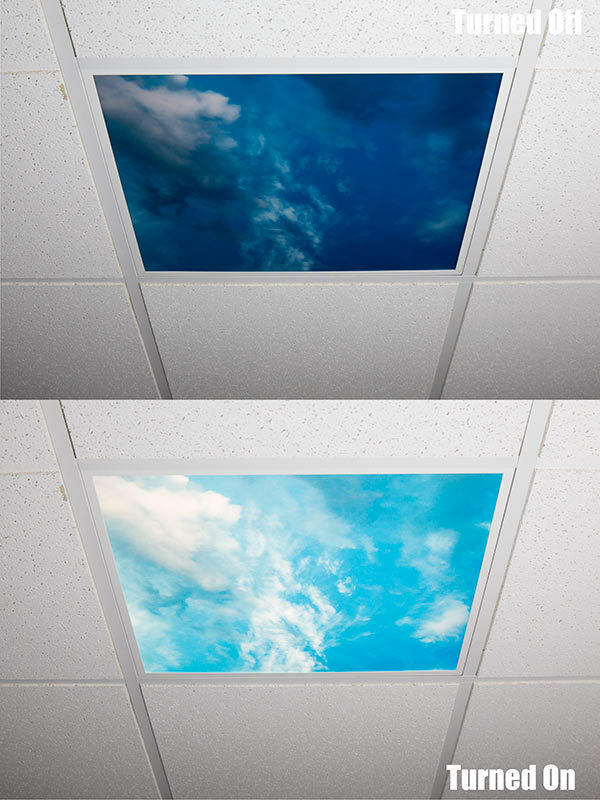 These eye-catching displays feature prints that are evenly split across any number of Even-Glow® LED skylights. Select "Choose Artwork" and choose the quantity of 2' x 2' panels that are needed for your display. We will contact you for panel layout details. Photo submissions can range from cloud images to company names, logos, and advertisements. Each photo section is printed directly on the LED SkyLens® diffuser. 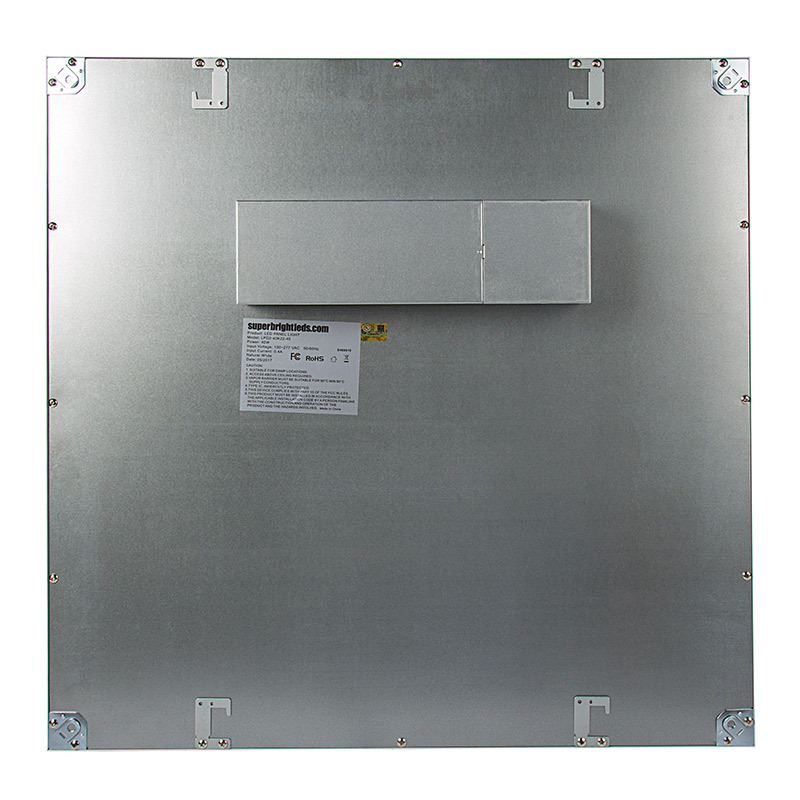 These backlit panel lights use Even-Glow® technology, which consists of a light-guide plate and an optical diffuser, to deliver smooth illumination without visible bulbs or hot spots. Bright and powerful—the 40-watt dimmable LED lights emit cool, natural, or warm white illumination. 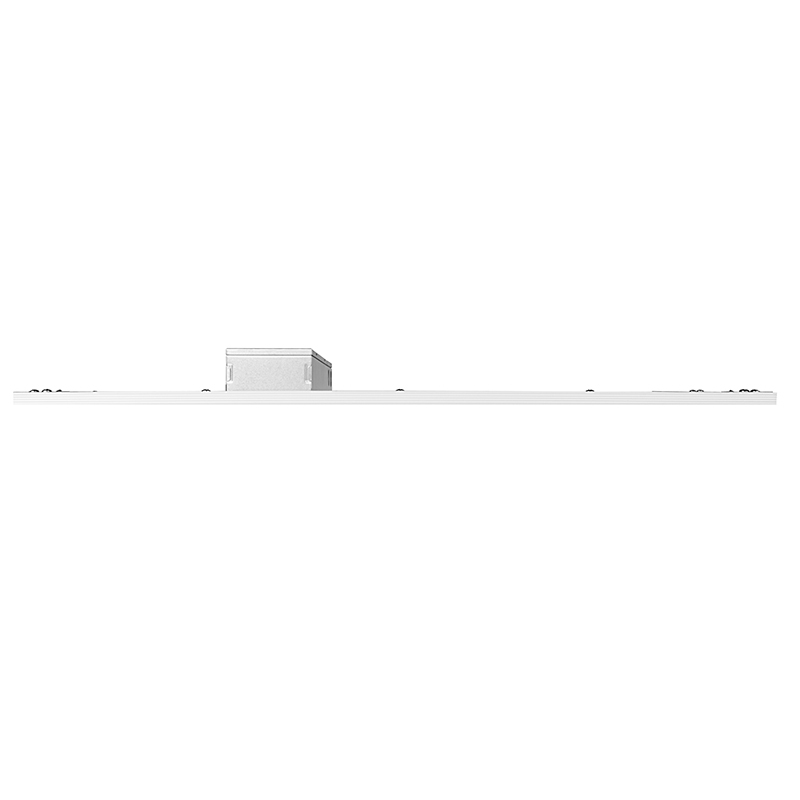 Each one operates on 100-277 VAC, has a sturdy aluminum alloy frame with a white finish, and is designed to last at least 3 times longer than fluorescent panels. Brightness can be controlled with a 0-10V dimmer. 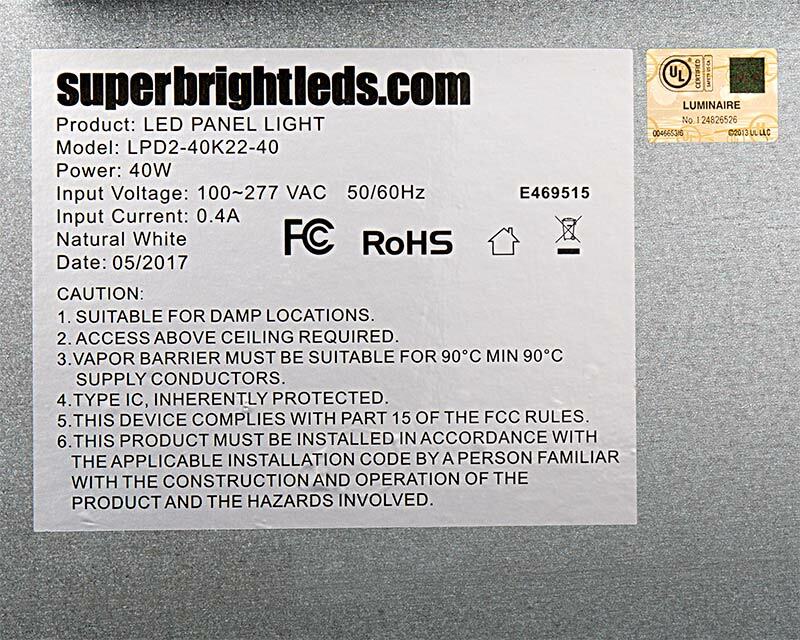 Price per panel.